“My Mom Says There’s Nothing A Little Breastmilk Or Coconut Oil Won’t Cure” GIVEAWAY! Fresh Apparel creator of the, “My Mom Says There’s Nothing A Little Breastmilk Or Coconut Oil Won’t Cure” Tees is giving away THREE T-shirts! It’s simple to enter. *Stop By Fresh Apparel on Facebook and feel free to give a like. 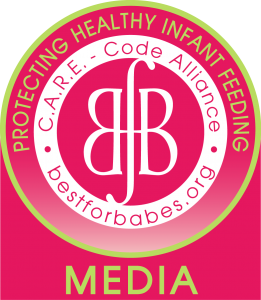 *Stop By Breastfeeding Moms Fight Back and feel free to give a like. *Share giveaway post anywhere of your choice publicly for Five extra entries. *Make sure to confirm all your entries on the form below! ← Breastfeeding Elle Cover Model Speaks Out About Breastfeeding!